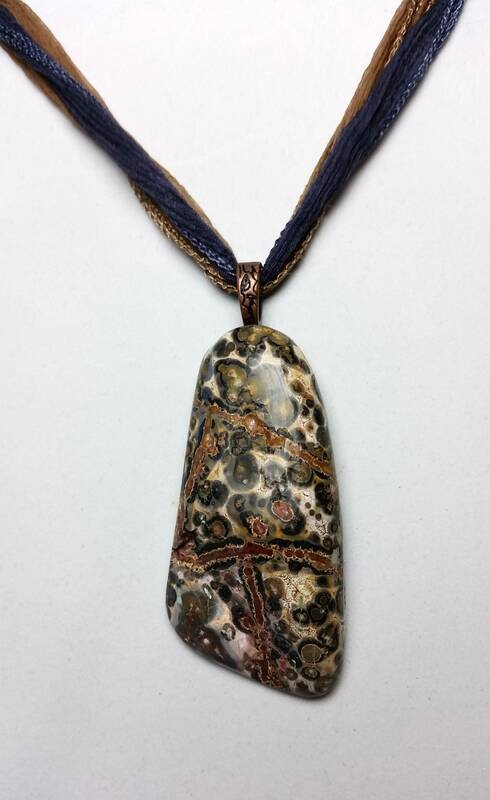 This is a very striking free-form shaped elongated cabochon created from fossilized coral. 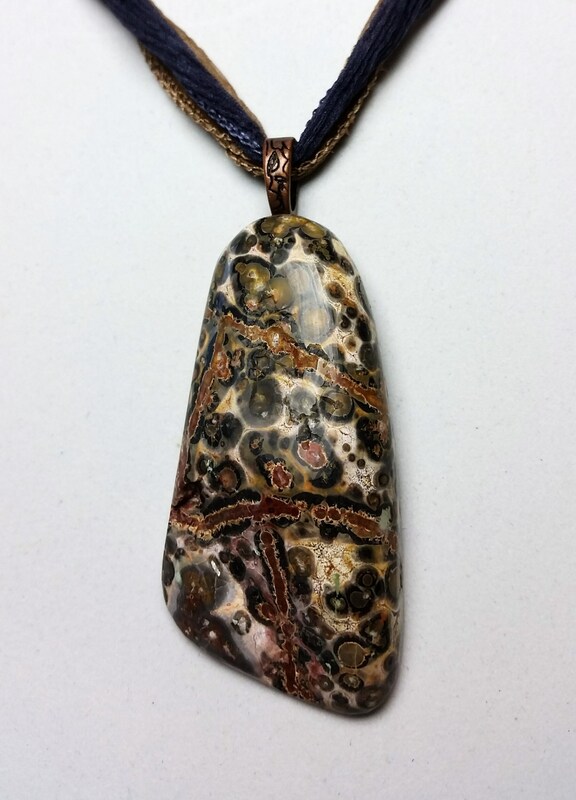 It has roundish gray and mocha brown shapes in a beige background with rusty linear looking red jasper inclusions. 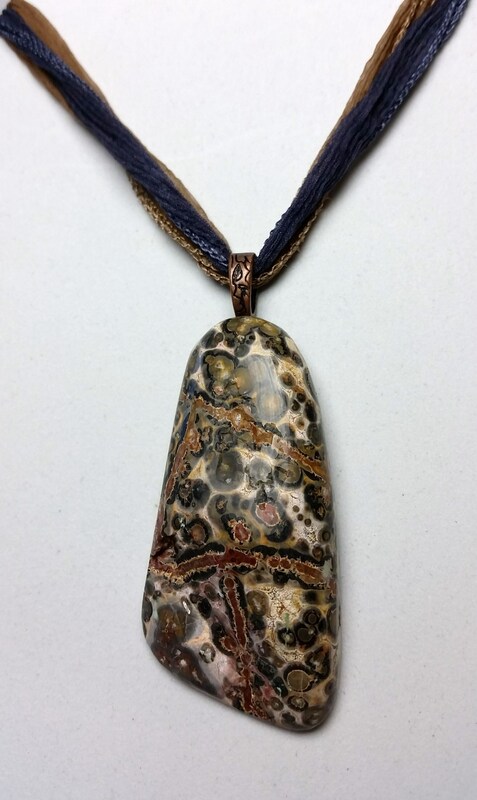 Over eons of time the organic material was turned into hard agate. 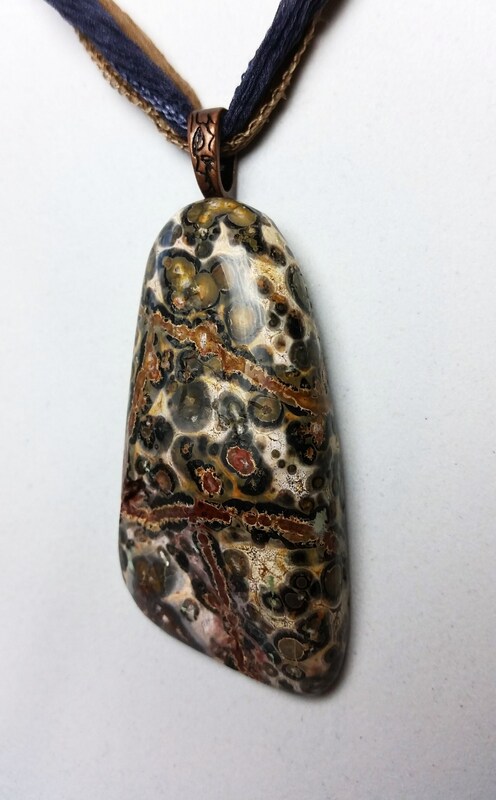 This particular cabochon is one I cut and polished myself, letting the stone guide me to this unique shape with natural imperfections. 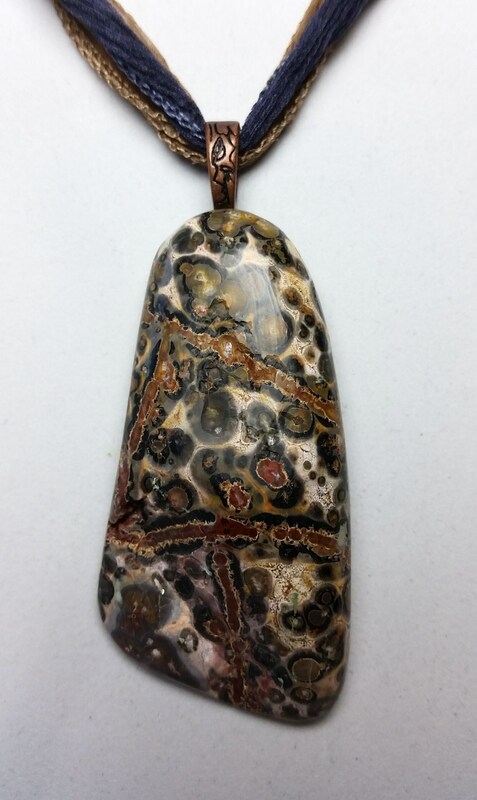 I attached a copper bail to the flat back of the top of the stone to match the jasper lines in the stone. Then I strung it on fairy ribbons of mocha and charcoal. Thus the length is adjustable depending on where you tie the approx. 39 inch long fairy ribbons. And the soft fairy ribbons provide comfort to the wearer!